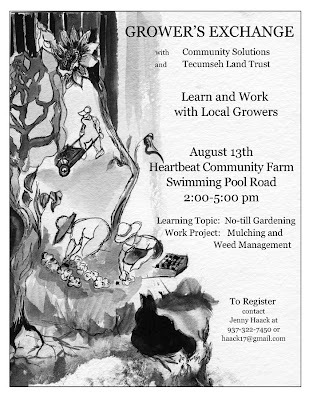 Heartbeat Community Farm at its Swimming Pool Road location will host this month’s Growers Exchange Event on August 13th from 2:00-5:00pm. This location has been operated by Andrew Manieri and Terry Snider for the past six years as an experiment in letting “nature be our teacher, and to honor the diversity of all life”, according to Snider. 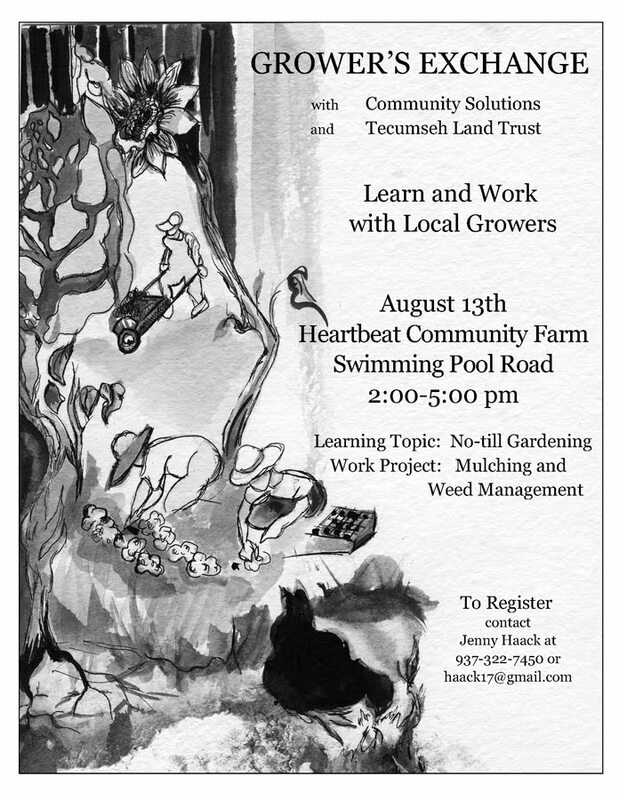 The learning topic will be no-till gardening and the work project will be mulching and weed management. The Growers Exchange creates a way for seasoned growers to share expertise with novice gardeners about how to grow healthy food. The monthly events organized by the Growers Exchange are free and open to the interested public. For more information, and to register, please contact Jenny Haack at 937-322-7450 or email her at haack17@gmail.com . Be sure to wear comfortable work clothes and shoes, and be prepared for the weather.